Having been asked a few times recently about stealth camping and wild camping I thought I'd post this piece from a few years ago that originally appeared in The Great Outdoors. Stealth camping, as the name suggests, is camping where you are unlikely to be seen. I’ve practised this since I began backpacking, long before I heard the term itself. I like it though; it suggests quietness and a lack of disturbance. 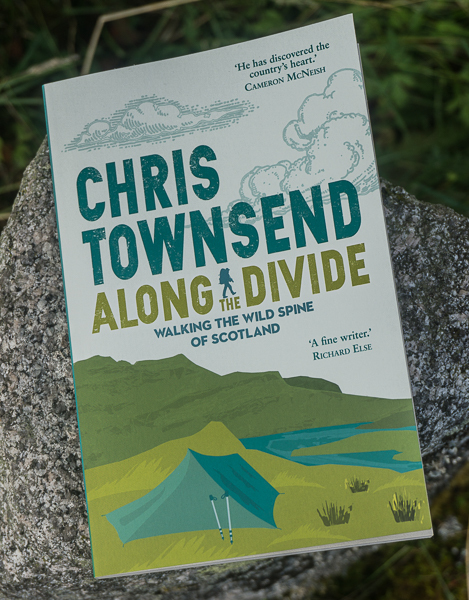 It came to mind frequently a few years ago when I chose to stealth camp a few times on the Southern Upland Way and on Annandale Way. Scotland’s enlightened access legislation, which gives a right to camp wild, meant I didn’t have to hide my camps but as both paths run through farmland and lowland woods at times I preferred to be out of sight of paths, roads and farms so I could enjoy camping in peace with little risk that anyone would disturb me or even know I was there. 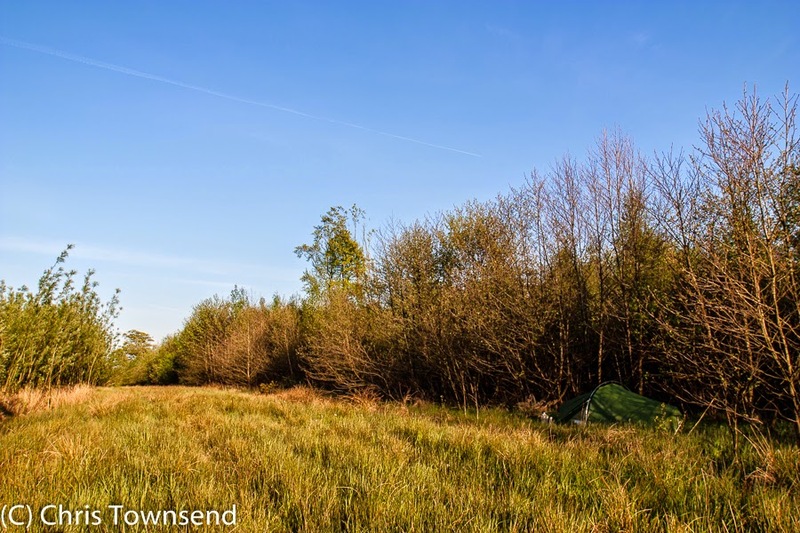 South of the border in England stealth camping is rather more of a necessity in many areas as wild camping isn’t a legal right. High in the hills it’s usually accepted but in many lowland areas it’s wise to be out of sight. Long ago I learnt much about stealth camping on a Land’s End to John O’Groats walk, including making camp late and leaving early. At the same time I also found that passing by a prospective site because I wanted to walk a few more miles could mean difficulties in finding anywhere to camp so sometimes I stopped early. 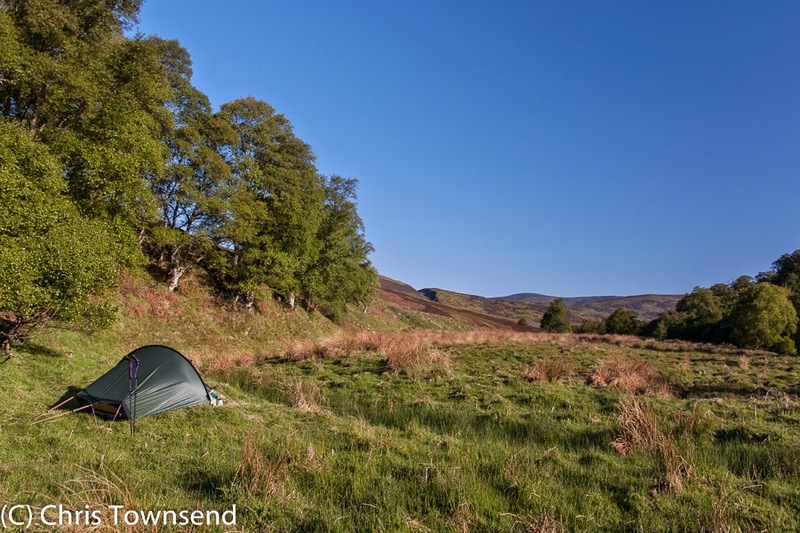 A stealth camp is one where you are unlikely to be seen by others because you are out of sight of roads, buildings, footpaths, bothies and popular wild sites. If there are clear signs that people camp regularly then it’s not a stealth camp site. Along most long distance paths there are popular wild sites that are used almost every night in the summer. 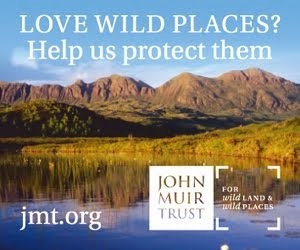 There are similar sites in popular walking areas – Styhead Tarn in the Lake District and Loch Etchachan in the Cairngorms for example. Yet by only venturing a short distance it’s usually possible to camp in solitude in these areas, out of view of other tents. Finding a stealth site is a combination of studying the map and studying the terrain. In lowland areas woods are excellent for stealth camps. Just wander away from the path and find a flat area. This doesn’t necessarily mean being surrounded by trees with no views either. Just being out of sight of likely human presence is often enough. Towards the end of one of my TGO Challenge routes, as the eastern Highlands decline from moorland to farmland, there is a spot beside a fine rushing river with a lovely view back up the glen to the hills that is hidden from the nearby road by a steep wooded bank. I’ve camped there four times and have never seen another person. (And no, I’m not going to tell you where it is!). In open hill country stealth camping can be more difficult. I look for wrinkles and dips in the terrain in which tent can be pitched that can’t be seen except from close by or maybe a distant hillside. Sometimes such spots can lie surprisingly close to footpaths. A stealth camp on the TGO Challenge. Despite the open view it was hidden from a nearby road and houses. In my view the main reason for stealth camping isn’t to hide from other people though (I’m not that anti-social!) but to be in closer contact with nature. I’m out in the wilds to experience the landscape, the wild life, the trees, the flowers and the whole magnificent natural world and I want that to be part of the camping as well as the walking. In my ideal camp I can sit and watch birds and clouds and study the details of vegetation and rocks. 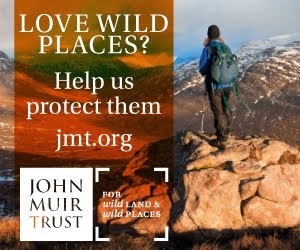 I don’t want the wildlife to be disturbed by people walking by, as can happen when camping near a footpath, or by other people talking, as can happen at popular wild sites. I don’t want to look at other tents either or hear vehicles on a road or tractors in a field. On this theme when looking for a stealth camp if I see another tent I give it a wide berth and camp well away and out of sight, assuming those campers are also seeking solitude. Not everyone does this. Once in a big corrie I deliberately went well away from the path and the used camp sites beside the lochan and camped out of sight behind some boulders. The next morning I went for a stroll up a nearby hill. When I returned to pack up camp there was another tent only fifty feet or so away from mine. In all that vast area, which could have held a dozen or more tents all hidden from each other, they had chosen to camp next to the only other tent there. I packed up and left, as intended, hoping that the other campers didn’t think I’d taken offence and moved because of them. Mind you, if I’d been staying a second night I might have moved camp! Stealth sites are usually undisturbed and pristine. They don’t look like camp sites and ideally there is nothing human made visible. They certainly don’t have rings of stones, flattened vegetation, bare patches of earth, stone windbreak walls or camp fire scars. Sites with these are the opposite of stealth ones, showing over-use. I try and pass them by or, if I do use one, restore it a little by breaking up stone rings and demolishing structures. When leaving a stealth site it should look as though no-one has ever camped there. Perhaps there’s some flattened grass, but this will quickly recover if it was used for one night only. The idea is that if someone else does camp in that area they probably won’t choose exactly the same spot so a new visible site doesn’t appear. For that reason stealth camps should be for one night only and new paths shouldn’t be trampled from the nearest footpath or to the nearest water (something more likely with groups). Indeed, stealth camps may not be near water at all. I’ve often carried enough water for camp for the last hour or two to a fine but waterless site. Such places will never become popular as most people prefer to camp within a short distance of water. I carried water for camp twice on the Annandale Way and each time found a lovely, quiet and relaxing woodland site. 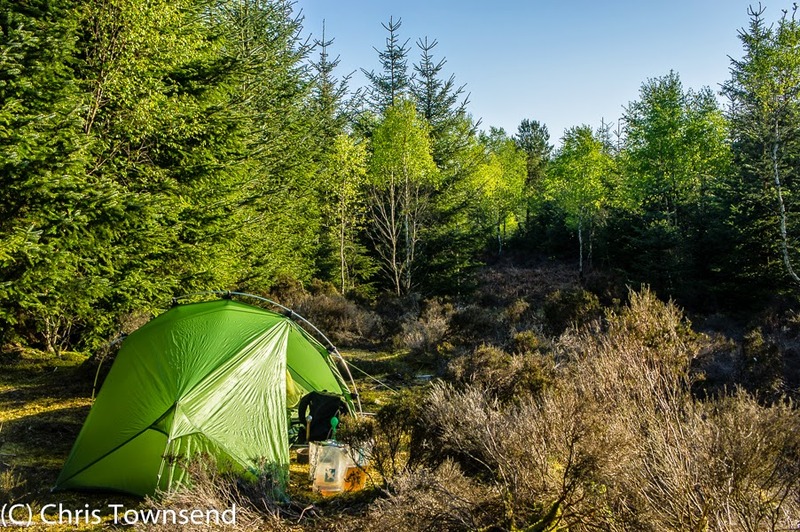 No special equipment is required for stealth camping but a dull green or brown-coloured tent is useful, especially when camping in open country. There’s nothing like vivid red or orange nylon for attracting the eye. That said, I used a quite bright gold-coloured tent on the Pacific Northwest Trail last summer and had several stealth camps in lowland and logging areas simple by heading off into dense forest and thick undergrowth. Despite the colour of the tent anyone would have had to be fairly close to spot it. I think stealth camping is in fact the natural form of backpacking camping. It’s what wild camping should be. It's kind of a strange term isn't it? It is as it says but sometimes it makes me think it's, well, for want of a better word, a little naughty! I don't have any problems with camps up on the North or South Downs as every farmer, or park ranger that has ever stopped, only does so to say hello or have a chat. Like you, I usually stealth when I want to be alone, this is my main reason for doing it and it's great to experience the wildlife just that little more. More for the solitude I think though. I love hiking with others but sometimes we all need some head space. On a circuit that took me around the western boundary of Snowdonia National Park, I found the area heavily farmed and more populated, with the result that there were no suitable places for a wild camp. I ended up pitching on an overgrown lawn in the secluded garden of an uninhabited cottage at the edge of a hamlet. This had the advantage of a working outside tap and a usable outside toilet, though I did spend the evening and early morning in slight apprehension of being discovered. Apart from passing dog walkers etc., the estate agent would have had a bit of a shock if he had an early viewing booked!